I've been thinking about getting a kindle for about two years. I wanted to wait until the technology had improved a bit more and there were more books available. You know, when Amazon got the kinks out. My sister Becca got a kindle several months ago and won't stop raving about it. So, I decided to download the kindle app on my iPod and try it out. Come on now, a kindle is pricey and I wanted to know if I'd even use it. Would I like looking at a screen instead of a page? My kindle app was a good way for me to try before I buy. Wow, did I use my kindle app! After I had read 10 books on that ity bity screen, I knew I had to have one. I know I will still keep a few book on my iPod, for those book emergencies you know. This was a really great way for me to make the decision. I enjoyed the instant gratification way too much. So I bit the bullet and bought one. Let me just say that the Kindle is THE BEST INVENTION EVER. I can't even explain how awesome it is!! Not only do my books come in less than 60 seconds, there are hundred's for free! Who doesn't like free books? I've gotten on my kindle in the middle of the night, in my bed, bought a book and started reading. AMAZING! I've got myself all set up where I can buy a book with ONE CLICK. That's it, I don't have to keep entering in my bank details or go find my wallet for my debit card. It's just ONE CLICK. I don't have a book store here in my town so the Kindle is really helping me out. I can get a book whenever I want. I can also loan out my books to my sisters or friends on their kindles. I am loving this! The argument with many is that a screen could never replace a book. Yeah yeah, yada yada yada. I hear you. I love the feel of my books and its pages too, but let me tell you about this screen. It looks just like a paperback page! It is quite amazing actually how much it actually looks like a paper page. There is no glare (which there was a glare on my iPod), so my eyes never hurt from reading. I don't see the argument. I can hold 3,500 books on my kindle. I could never do that in my 2 bedroom flat. When I go on holiday I always have to save room for a stack of books, I usually read one per day. Not anymore! I can bring as many as I like all tucked away in my Kindle. The battery life is amazing! I've been reading on it ALL week and it's only about a quarter through it. I can highlight passages, bookmark pages, and I can look up any word I don't know with the click of a button in the dictionary! I can even facebook and tweet what I'm reading and my favorite parts! I can get newspapers, blogs, magazines, books, and more all on the Kindle. I can get daily recommendations on books for me right on my Kindle. I can grab a sample of a book and read a few chapters first and see if I think I'll like it first! My only issue is that I think eBooks should cost less than paperbacks. They don't have to mass produce anything. Just employ someone to put it in Kindle format. That should cost less. I don't mean it like to take money away from author's but you can't deny that there isn't much cost outlay for it, so the consumer should benefit. Oh and they don't have page numbers, they have a percentage of the book you've read. I'd like real page numbers. But I don't mind. Still shows me where I am in the book and how much I have left to read, that's all I really need. I'm crazy over my Kindle!! If you love to read, I suggest you grab yourself one. You won't regret it! It is SO worth the money! I also bought a red leather cover and a mini light for those late nights. LOVE THEM BOTH!!! Do you have a Kindle? Have you been thinking about getting one? Or are you against the whole eBook thing? I had a Kindle and adored it and then for Christmas last year my fiance bought me the Nook as an "upgrade." I have enjoyed both devices so much. Each have different pro's and con's. But for the sake of the device staying closely related to a physical book, I recommend the Kindle. 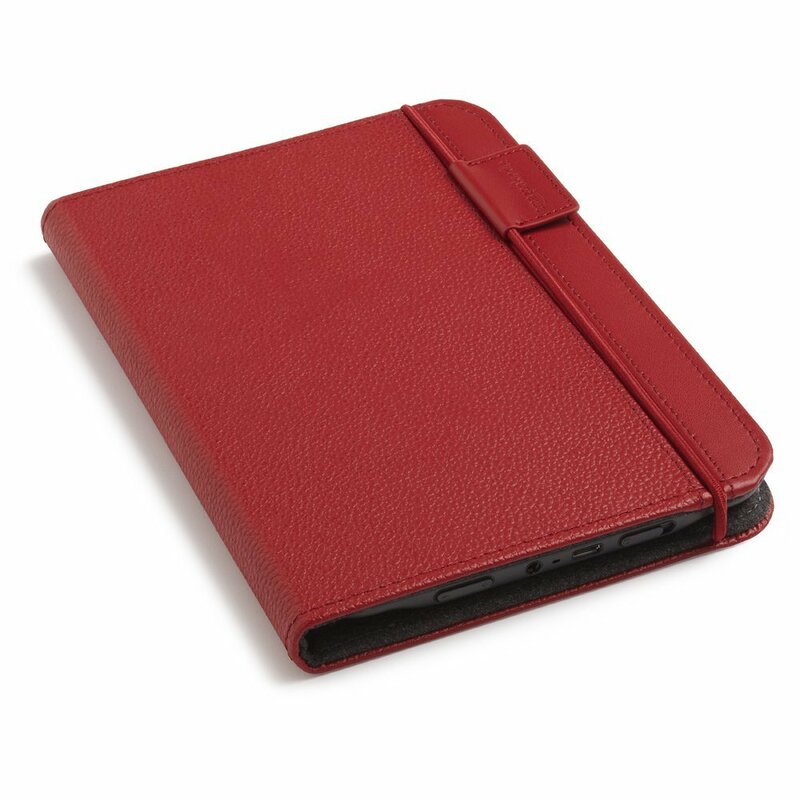 The Nook is basically a simpler version of a tablet. But I'm so glad you are enjoying your Kindle, I love when people discover the magic electronic readers. I love my Kindle so much :D I'm glad you are enjoying it! Yaaaay another Kindle lover, I'm there with you, had mine for 2 years this Christmas. I prefer reading on my Kindle now, i'm in love. Woot for another convert! 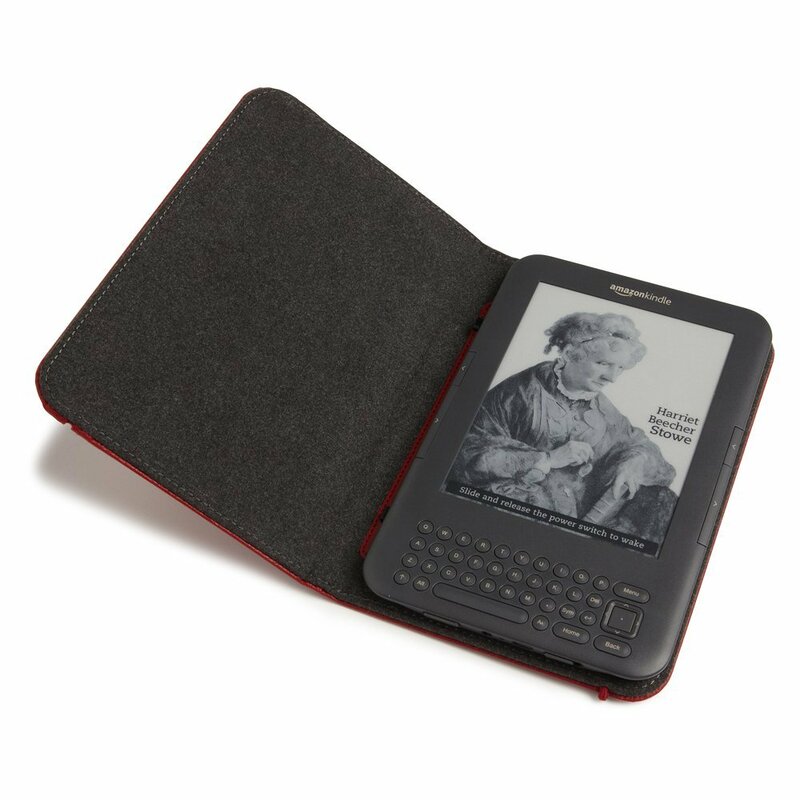 It's not that ereaders have to REPLACE books, but they sure are a great supplement! Don't have a Kindle but I just got a Nook Color and I am in gadget love. Most awesome ereader ever. E-readers are such a great convenience. I got myself a Kobo because it was easy enough for me to go to a nearby Chapters (here in Canada) and pick it up rather than ordering it and waiting for it.